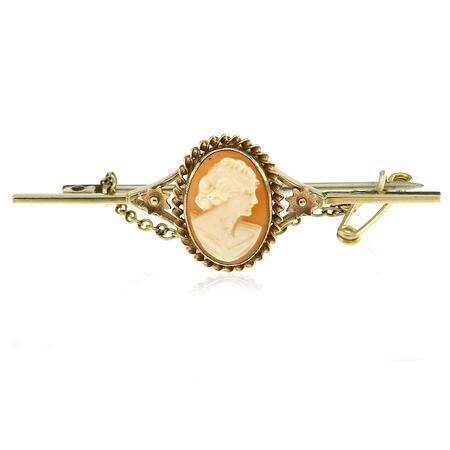 Cameos have long been a feature in Gerard McCabe’s exclusive Antique & Period Collection. These marvellous pieces, hold a unique representation of quality craftsmanship. There are many who unfortunately are unaware of their incredible history. The location and inspiration behind the first cameo is unfortunately unknown. Although many historians believe that it was in either Greece or Rome, where they originally carved from stone such as agate, onyx, sardonyx, carnelian, coral, lava and jet. They were set in rings, brooches, earrings and bracelets, and men chose to wear them in watch, fobs, rings and pins. Many wearing these as a symbol of status. Over the years, Cameos made lovely, portable souvenirs. These were a gift for those that visited the ruins of Pompeii or Hercelium. As these travellers returned home, friends and family were enthralled by the works of art. 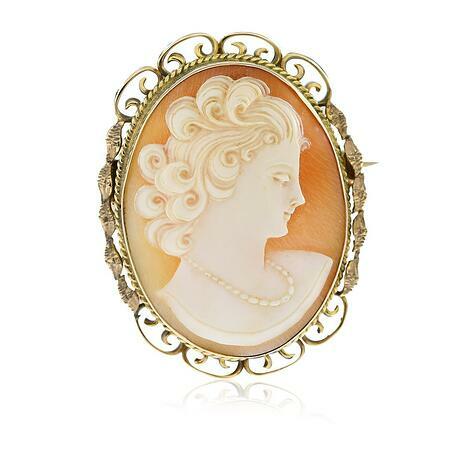 It wasn’t long until Italian cameo artists had stores in England, France and America. Artists would carve cameos in the ancient style or any other design the purchaser might select. To meet the demand in the 16th century, workmen turned to shell for the creation of these cameos. It was in the small town of Torre Del Greco, at the base of Mt. Vesuvius, located on the Bay of Naples, where artists set up shop. Crafters cut away the background materials to make a design in relief. They would use different layers and faults in the material to enhance the design. Today, over 150 carvers are within the town, working through 10,000 to 30,000 seashells a year. Since no two cameos are the same, these are a wonderful token of history. 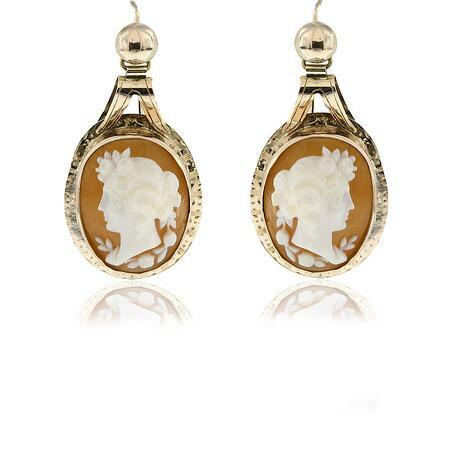 Few other pieces tell a story as a cameo does. As with any fashion trend, they eventually return on the runway, and cameos have certainly made their comeback, with fashion houses such as Dolce & Gabbana and Oscar de la Renta now selling cameos within their accessory lines. 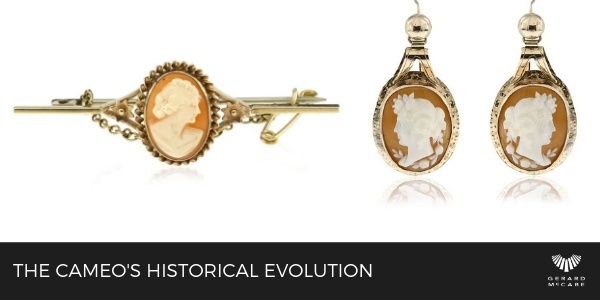 Explore the variety of Cameos within our Antique & Period collection at our Adelaide Arcade boutique. If you would like to be kept up to date with our newest releases in our Antique collection - subscribe to our newsletter. You will also be invited to our Antique events held in our Adelaide Arcade store.